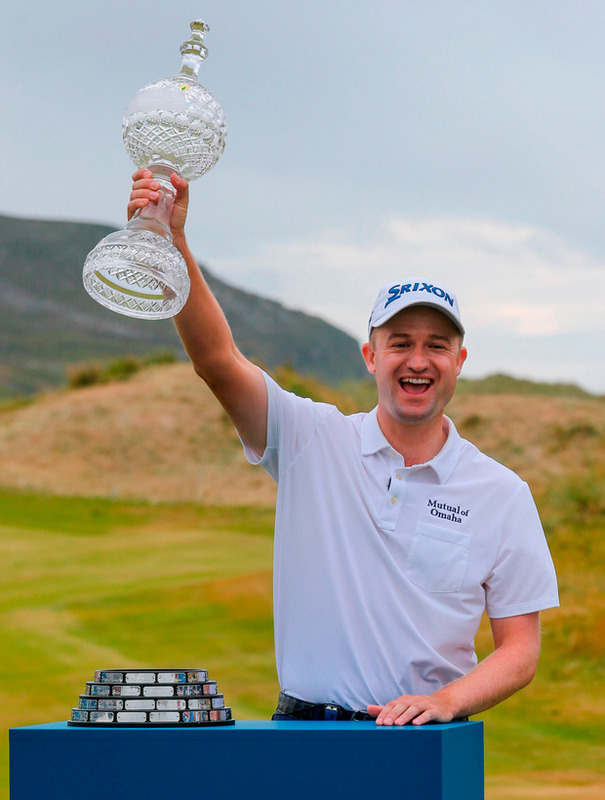 The event's first staging in Co Donegal failed to produce an Irish challenge, but it got a finish, and a winner, worthy of the magnificent setting when the 33-year-old Scot proved to be the man with the X factor as he clinched a career-changing play-off win over New Zealander Ryan Fox. He began the day six shots off the lead but closed with a six-under 66, holing an outrageous 40-footer on the final green to set the target at 14-under, before holing a nearly identical putt to break Fox's heart in sudden-death. Knox will remember it as long as he lives - especially if he makes the Ryder Cup team he was so unlucky not to make two years ago, when he was the sixth-highest European in the World Rankings and failed to get a wild card. Gunning now for his first Major after a Rolex Series win worth $1.16 million, he said of his 72nd hole putt: "It's unbelievable. That's why I play golf. "All the practice days, all the misses, all the bad moments are taken care of with putts like that." It's a victory that catapults him back into the world's Top 50, up to fifth in the Race to Dubai and eighth in the European Ryder Cup points list. And if Thomas Bjorn had any doubts about Knox's ability he only has to replay the Scot's final round charge, which began when he eagled the par-five fourth. He then birdied the sixth and then followed a birdie-bogey start to the back nine with a birdie at the 12th and another at the 15th, to join Fox and Spain's Jorge Campillo in a tie for the lead. Fox eventually edged ahead with a birdie at the 17th, but Knox would not go away and that sensational 40-footer on the last proved good enough for a play-off after Fox missed from inside 10 feet for outright victory. The Kiwi tapped in for a 68 and had his heart broken just a few minutes later when he lipped out from around 12 feet to stay alive after Knox made his second miracle putt in a row. "I knew that my only chance was to birdie 18, and I just got it cutting on the wind into the rough and I thought, 'oh, no, I'm going to be doomed over there'. "That's why you play golf, to hole a putt like that on the last hole. The adrenalin just comes out and, I mean, it's the best feeling in the world to be honest." On the winning putt in sudden-death, he added: "I said to (caddie) James, 'well, we've already made this putt'. "It was a little straighter than the other one, but it was tracking on a nice line and for it to go in, I feel bad for Ryan, but I guess it was my time." 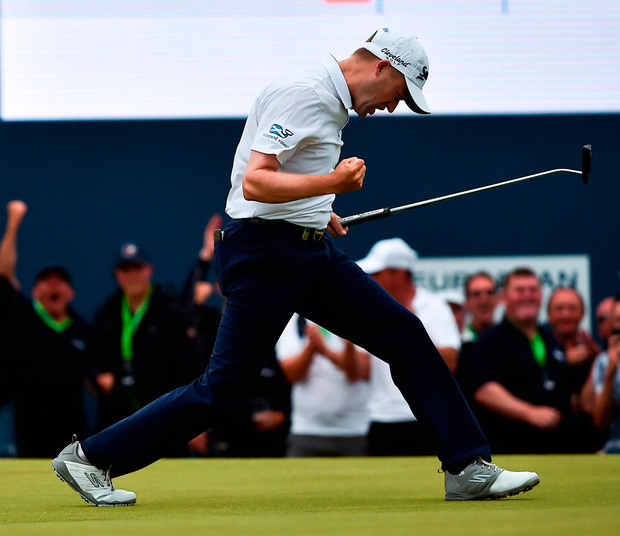 Asked if he felt capable now of going on to win The Open, he said: "I do actually. And I have the Scottish Open next week too. "I am not being greedy. I will enjoy this for a long, long time." Fox had to settle for $777,770 and one of three spots at Carnoustie, with the other two going to South African Zander Lombard and England's Andy Sullivan, who tied for sixth with Danny Willett and Thorbjorn Olesen on nine-under. "I hit two great putts on 18 and one grazed the edge and one came back at me," Fox said. "Look, I'm happy and it's a bloody nice consolation to get into The Open Championship." Spain's Campillo finished just a shot outside the play-off after a closing 65, with compatriot Jon Rahm putting up an incredible defence of the title. As for McIlroy, he left Ballyliffin feeling better about his putting after getting an overnight message from his putting whisperer Brad Faxon on his body language. Tied for 28th with Shane Lowry on two-under after a final round 71, McIlroy said: "He sent me an email and I got it this morning - a couple of videos about my body language after all the missed putts this week. "So it was a good little reminder that attitude is very important out there on the greens and it seemed to help me a lot." However, after taking just 27 putts on the final day, he's confident he's close to hitting his top form for The Open. He said: "I definitely saw some encouraging signs on the greens today which was great and gives me something to work on over the next few days in preparation for The Open at Carnoustie. "My record in the Open Championship has been pretty good in the last few years and just go out and play my game and if I can do that and commit 100pc to what I'm doing I'm sure I won't be far away."